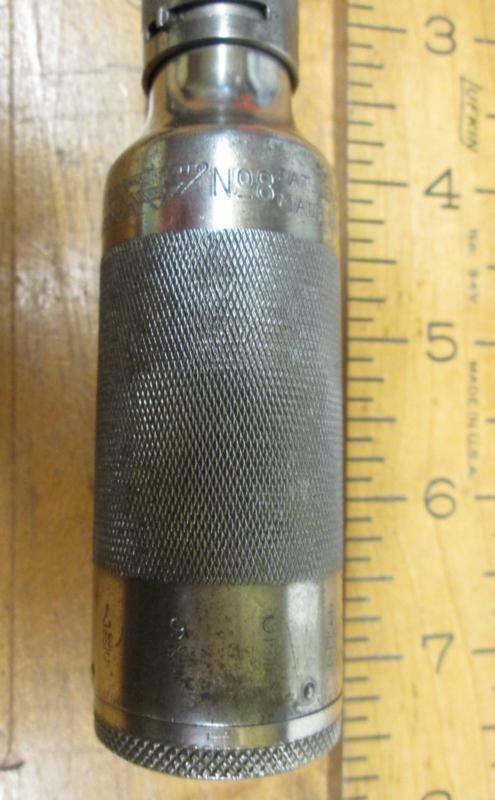 This is a very rare spiral push drill from the early 1900's! It is marked &quot;MILLERS FALLS CO. MILLERS FALLS MASS. NO. 8 PAT. 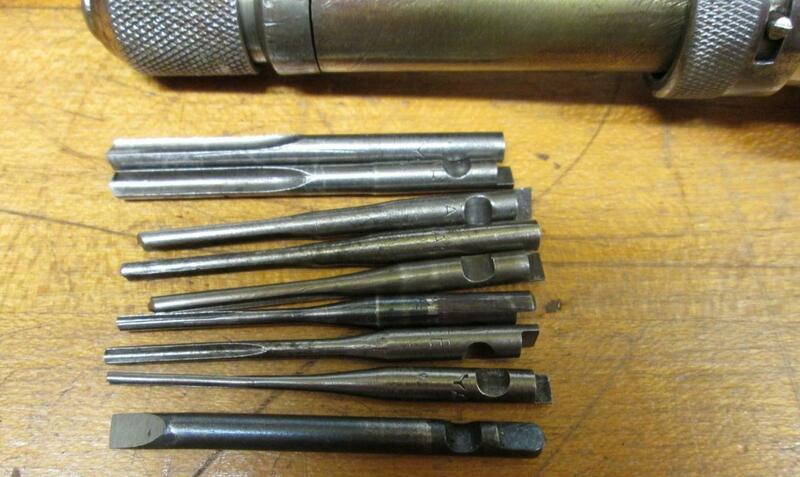 DEC.7.09&quot; and also has fractional marking on the handle for each size drill bit it holds. There is a total of 8 Yankee style drill bits included (the same as North Bros. and Stanley used), all in sharp ready to use, to new condition. There is 9 spaces to store bits in the handle, one is marked &quot;SD&quot; and we understand this model was offered with a slot head screwdriver tip original, is included with this offer. This model can only drive screw as it has no reverse function. Millers Falls designed and manufactured several different push drill models over the years, this is one of the most rare! It is shorter than the Yankee 41, and measures 7.0" long, and a bit over 1.5" of stroke. The spring and spiral system is working very well, and has a little bit of play wear the handle fits on the spiral shaft, not bad, but more than some of the other models. There is a knurled sleeve that is mounted to the end of the handle at the point where the spiral shaft enters that does rotate as if it had some sort of function, but I have no idea what it did or was intended to do, but turning it as far as it will go in either direction has no effect on the movement of the spiral system at all. The nickel plating is about 60% intact, most of the brass showing through on the spiral area that moves in and out. The chuck is a screw chuck type, and holds the Yankee style bits just fine. These are the bits with the shank flat and notch design. A very nice, rare tool! It's only the 3rd one we have seen in the past 10 years! Items Similar To "Millers Falls No. 8 Spiral Push Drill Rare!" Millers Falls Push Drill No. 81 Yankee Style Rare!